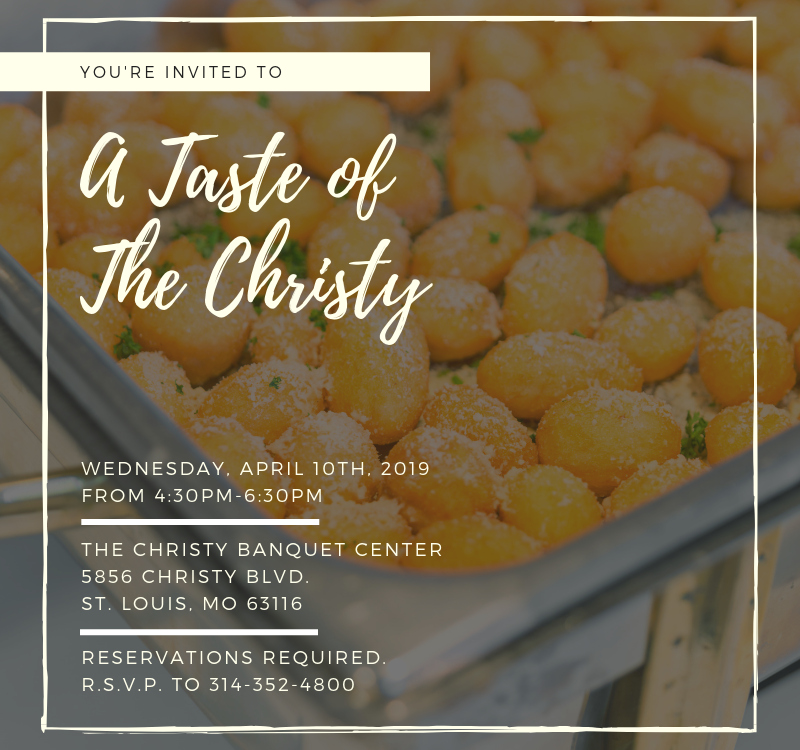 The Christy Banquet Center & Catering invites you to our next A Taste of The Christy on Wednesday, January 16th, 2019 from 4:30PM to 7:00PM. 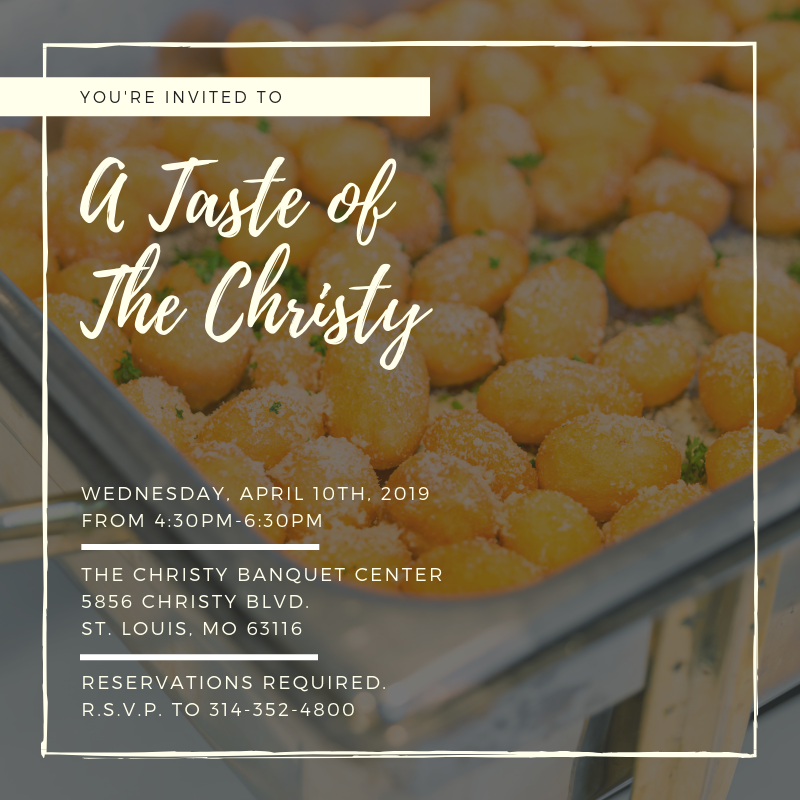 If you are considering an event with The Christy Banquet Center or Catering by The Christy, our tasting is the perfect opportunity to view our St. Louis location, sample our most popular menu items, and discuss the details of your event with our team of Event Coordinators. 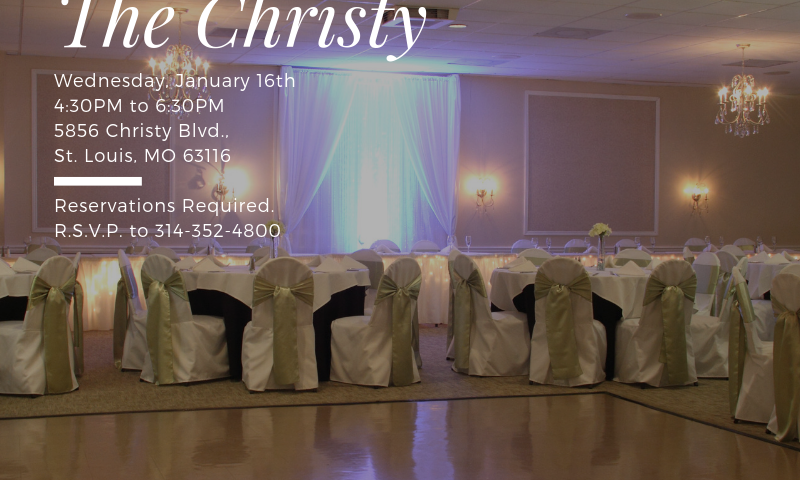 Reservations are required, call us today at 314-352-4800 to R.S.V.P.